Regis University appears in our ranking of the Top 10 Psychology Degrees Online (Bachelor’s). Regis University wants to help students start off on the right foot in the working world, which is why it offers a psychology program for undergrads. Students majoring in any field can also declare a minor in psychology and learn more about human behavior. The psychology minor features a small number of courses and offers opportunities for students such as internships and service learning projects. Regis recommends that students work with their advisors to make sure they still meet all their degree requirements. Undergrads can also major in psychology and earn a Bachelor of Science. This program helps them develop the critical thinking skills that they will need when working with clients and teach them how to understand different cultures and how their histories might impact the way people think or act. It deals more with applied psychology than general psychology and includes multiple science and research courses. Many students will also do an internship. Graduate students can get a Master of Arts from the university through its self-designed program, which also allows students to complete their certificates through Regis. This program is unique because it lets students pick the areas of psychology that they want to study and asks them to look at other disciplines to learn how those subjects work together. The MA in Applied Psychology program is a more in-depth program designed for those who want to do research and work in clinical fields. The university also offers a Master of Arts in Counseling program for those who want to work directly with any type of patients. Students can find work in drug addiction and rehab treatment centers, mental health facilities and other health care organizations. Students will do two supervised internships and two practicums, only one of which requires direct supervision. They will also take counseling courses such as Substance Abuse Counseling, Crisis, Trauma and Loss, Clinical Assessment and Research Methods and Program Evaluation. Some of the related certificate programs that students may find appealing include those in counseling military families, counseling children and adolescents and marriage and family therapy. 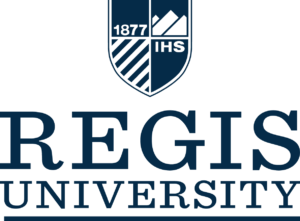 Regis University is a private university in Colorado affiliated with the Roman Catholic Church that previously operated as Regis College. Founded by the Jesuits in the small town of Las Vegas, New Mexico in 1877, it was originally Las Vegas College. The Jesuits would later move to Colorado and establish Sacred Heart College, which merged with the older NM campus to become Regis College. It wasn’t until 1991 that this campus became Regis University. Regis retains both its affiliation with the Roman Catholic Church and its connection to the Jesuits today. With an enrollment of more than 8,000 students, Regis University now ranks as one of the largest private colleges in Colorado. It still has a Regis College on its campus, which specializes in helping traditional college freshmen. Those students can take courses that prepare them for their later classes and learn skills that will help them when studying and preparing for tests. The campus is also home to the Regis College Center for Service Learning. Through this center, students can sign up for service-learning programs that let them give back every year. Regis University is very serious about the accreditation process, which is why it created its own review committee that looks at what the university can do to retain its accreditation. The regional accreditation Regis has from the North Central Association of Colleges and Schools (NCACS) is what allows it to build and award financial aid packages and accept credits from incoming transfer students. This accreditation comes up for renewal every 10 years. Regis also has accreditation from the Council for Accreditation of Counseling and Related Educational Programs (CACREP). Students can easily see what the university requires of them and what they still need to do because of the application checklist available online. This checklist lets them know exactly what they need to submit and what steps they must follow to enroll in the university. Undergrads can use the basic Regis application and both submit the application and pay its fee online. They’ll also need to submit high school transcripts or proof that they have an equivalency certificate as well as their test scores. Regis has both an early application/priority deadline and a deadline for all other applications. The graduate programs offered by Regis University have strict requirements regarding who they accept. Students applying to the MA programs in counseling or psychology must have a degree in either family studies or psychology and some professional work experience. Regis gives priority to those who worked in positions that involved direct contact with clients. Students can submit the Regis application and pay their application fees before providing their transcripts. The university has a February 4 early admissions deadline for the fall semester and a standard deadline of June 24 for that same semester. Students must also complete the interview requirement by March 4 or June 24 based on when they applied. This interview allows the department to determine whether the individual is a good fit for the program. Full-time undergrad psychology majors pay Regis University $18,230 each semester in tuition plus some additional fees. Part-time students pay the university $1,139 for each credit they take. Both graduate degree and certificate students will pay $530 per credit hour for their programs. Some Regis graduate programs charge up to $680 per credit hour. Both merit and talent scholarships are available from Regis for students who qualify. There are five merit scholarships that go to students who demonstrate talents in science and other core subject areas. It offers talent scholarships for students with good athletic skills, those who play music and students with strong speech and debate skills. Though the university can award multiple scholarships to the same student, this may reduce the amount of federal or state financial aid given to them. Regis will subtract those scholarships from their total costs and create a package that covers the remaining balance leftover. That package will usually include grants and loans, which are available for graduate students too. Regis University offers a variety of financial aid choices for students in its counseling and psychology programs.